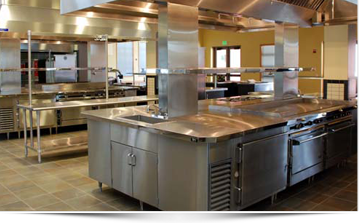 Our team of experts specializes in designing and overseeing kitchen construction projects for restaurants, schools and hotels — keeping the entire process running smoothly and trouble-free. We provide a truly predictive customer experience and work collaboratively with architects, general contractors, plumbers, and electricians to make sure that each project is seamlessly produced. We specialize in the planning and design of restaurant kitchens and oversee your entire project from concept to completion to deliver cutting-edge results. 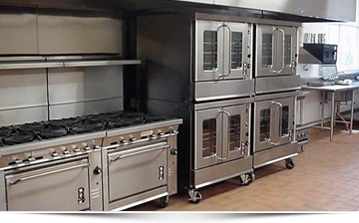 With 25 years of experience in kitchen design and installation, we offer high quality custom services for schools, colleges, assisted living facilities and more. We provide world-class hotel kitchen design and food service consulting services to achieve all of your objectives as they relate to flow and aesthetics. Having never built a restaurant before I was very dependent on the food service designer for my new restaurant. 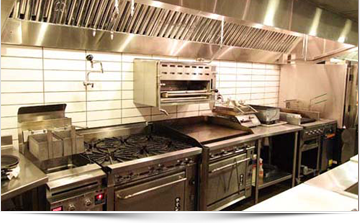 Ballinger Restaurant Equipment was recommended to me by several people, and I contracted with them to design Norton's Grille. Larry came through like a champ! He prepared the kitchen drawings and health department submittal package and provided all the food service equipment. He worked with the Architect and General Contractor to make sure our project ran smoothly. His installation crew was on time with their equipment and the installation went perfectly! When we added some last-minute equipment, they responded quickly and had it built and installed in a very short time. I highly recommend Ballinger Restaurant Equipment to anyone who is considering building a new restaurant or remodeling their existing place. Thank you for your excellent customer service and unbelievable responsiveness to the needs of our project. I wish everyone we dealt with was as knowledgeable as you are in their respective fields. The Café is looking so good! I look forward to working with you on the Bridget Dolans Pub. Larry, I would like to thank you for designing and preparing the specifications for our new walk-in freezer and refrigerator and the exhaust hood system at Petaluma High School. Separating the walk-in freezer and refrigerator is a brilliant idea. The flow of traffic is smoother and my staff at the kitchen is ecstatic about the transformation. It creates a very pleasant environment for the staff to work in. Thank you so much for your wonderful input and professional expertise. Larry and his staff work hard to provide you the finished product you want on time. Ballinger Restaurant and Equipment (BRE) handles inquiries, problems and solutions in a professional manner with quality follow-through. BRE understands that the parts are as important as the sum, so the follow-through over the ensuing days and weeks after our restaurant opens ensures all the details are to our (and their) specifications. We always insist on quality and providing better restaurant operations and BRE shares that vision. I've known and worked with Larry Ballinger for more than ten years. During that time his company has provided design, equipment, fabrication, and installation for several kitchen, bar, and dining room remodel projects for our restaurants on Pier 39. Their work has been reliable, timely, and reasonably priced. Larry, his staff, and sub-contractors have consistently met deadlines and added value to our projects. We will continue to call on Ballinger for future projects and I enthusiastically recommend them.